The de-cluttering bug is totally wreaking havoc over here! No room, closet, nook or cranny is safe! 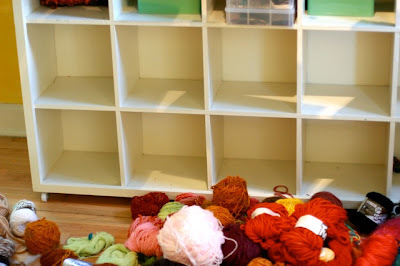 I’m completely clearing, reorganizing and custom designing a new creative space. (With my hubbies help.) With baby on the way, I’m sure this project will take a lot longer than I think, so that’s why I’m doing it in stages. Over the next several days I’m clearing it all out…felt, yarn, paints, sewing machine, fabric, paper…everything will be scrutinized under a mindful eye. 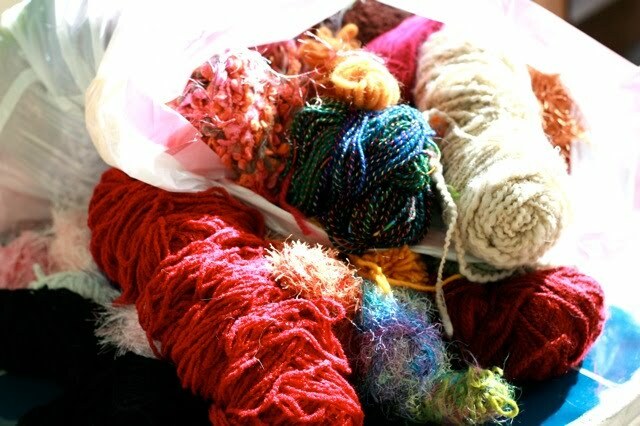 Then, I’ll organize all of my supplies into three piles – 1) precious materials to keep & use on current project 2) precious materials to keep in small art cabinet downstairs for future projects (’cause my art studio is small) and 3) supplies to donate and give-away. I’m really excited about this project because I can see what my art studio is starting to become. And I can already feel the new energy buzz a-happening… The creative juices are flowing, to be sure, despite all the boxes and dust needed sifting. Can’t imagine what it will be like without the clutter! See you when I emerge from the piles. Encouragement is happily accepted… Better yet, feel like joining me? 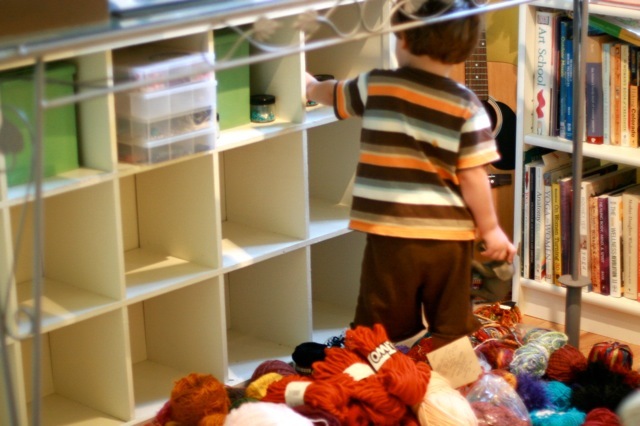 Check out the Reduce Clutter; Create Space challenge and declutter with this brave group. Your Personal Reflection: What does your creative or personal space look like? Is it time for a revamp?